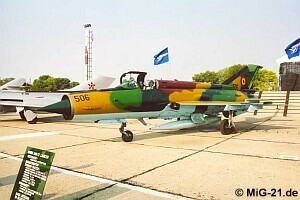 During the Romanian airshow all current aircraft types of the Romanian Air Force were on display. 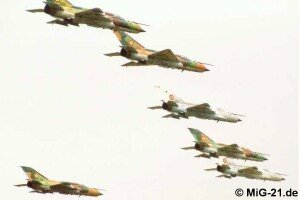 Among them also many MiG-21. A formation of nine LanceR A and C took part in the opening mass fly-by. 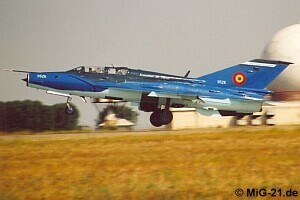 Shown in new colors: MiG-21UM LanceR B. ... and fighter-bomber LanceR A. The licence-built Pumas opened the show. 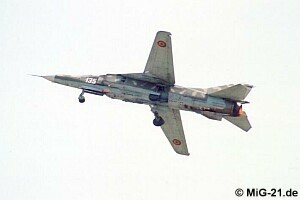 Many foreign guests visited Constanța - like this MiG-29 of the Ukrainian Falcons. 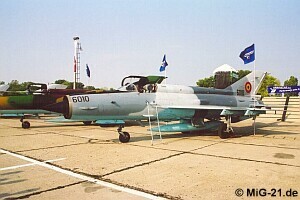 ... the author paid a visit to the Bucharest aircraft museum. 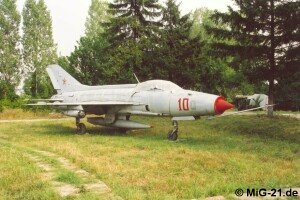 One of its exhibits is this MiG-21F-13.